Introducing our new Chic Mirrored Table Lamp, this piece features a silver string and a beautifully designed body with who mirrored rings decorated in glass crystals. 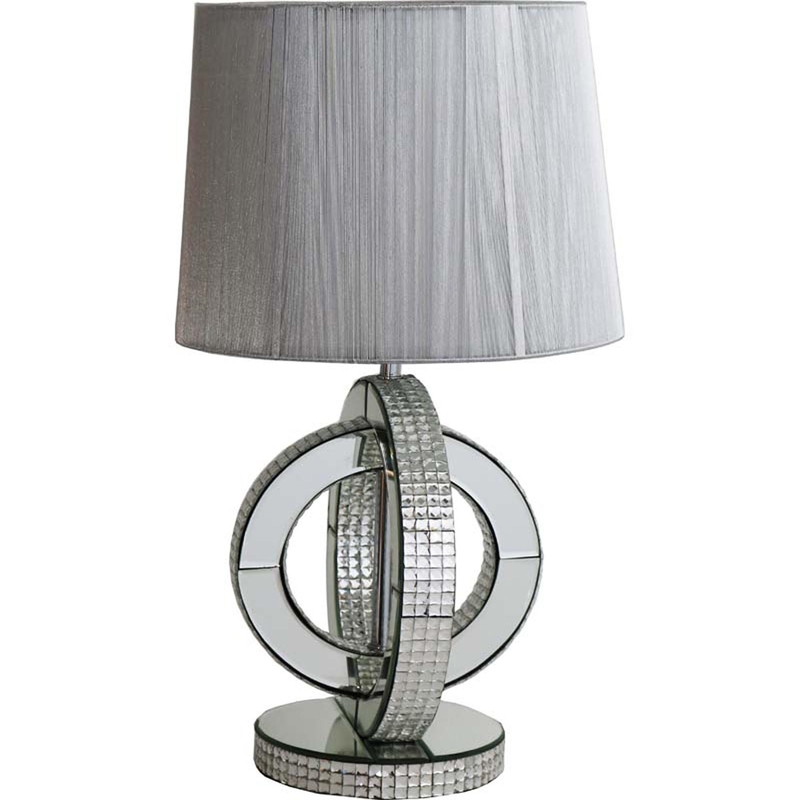 The stunning lamp is the perfect piece to give your home a bit more sparkle and excitement. This product is a added luxury to any home, be ready to impress with this statement piece.